Kaua’i Island is a place of unbelievable striking natural beauty like no other on the planet. From emerald mountains to the the deep blue ocean there are canyons, caves, rivers, beaches, amazing wildlife, and plants and flowers of all kinds. It is also a place rich with history. Ancient Hawaiian temples and the island’s first buildings and towns paint a colorful tapestry of the past. TOURS: These are our two main tour offerings which are flexible in and of themselves. Should you have a shorter tour or a special itinerary in mind, please call 1 808 651 3948 or scroll down to the "contact" section below and send a message. West Side / Waimea Canyon Tour: Let us pick you up from your hotel or port and take you on a private, customized tour you will never forget to places other tours just don't go. We will hit every spot on the way that just can’t be missed. 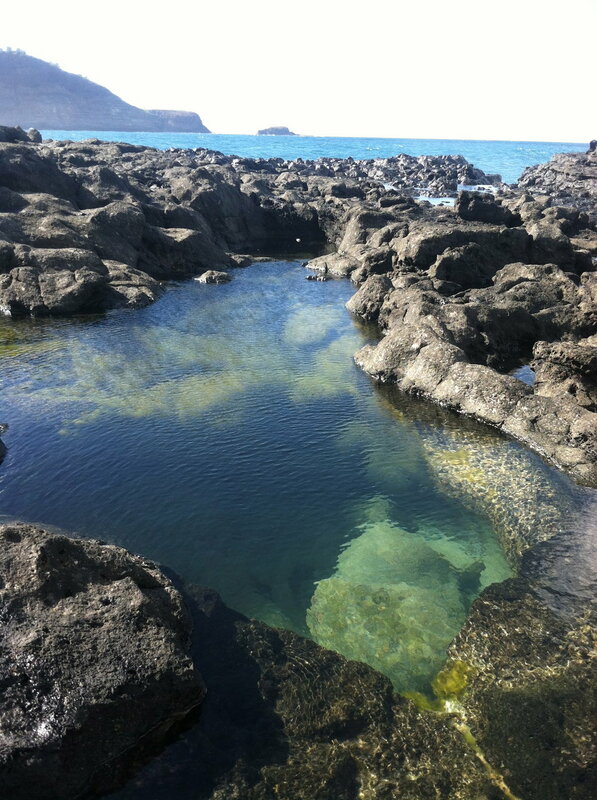 Highlights of this tour includes the Menehune Fish Pond, the Kauai Coffee Plantation, Waimea Canyon, the Kalalau Valley Lookout, Spouting Horn, Poipu Beach and Wailua Falls. Listen to some historical tales about the island, take photos at all the best spots, and take some walks in some of the most beautiful natural places on the planet. Stop at a market or restaurant of your choice for lunch. Coolers and cold water are provided. North Shore Tour / East Side Tour: Let us pick you up from your hotel or port and take you on a private, customized tour you will never forget to places other tours just don't go. This 7 hour tour includes Wailua Falls, Opaekaa Falls, Kauai Hindu Monastery, Kilauea Lighthouse, Hanalei Valley Lookout, Hanalei Bay, Haena Beach Park/Dry Cave, Waikapalae Wet Cave, and Ke'e Beach/Na Pali Coast view. Learn some historical tales about the island, take photos at all the best places, and take some walks in some of the most beautiful natural places on the planet. Stop at a market before we begin or a restaurant of your choice for lunch. Coolers and cold water are provided. Allow us to take you on a journey that you will never forget. Go to places off the beaten path on a private, customized tour just for you and your loved ones. Before the tour we can discuss what it is you want to do and see most and we will accommodate you. Noah can take you to places not listed in magazines and guidebooks; places only the locals know about and places other tours do not go. We are a legitimate Kauai tour service licensed and registered with the State of Hawai'i. All passengers are covered by insurance. “Noah's tours are tailored to what you want to see. If you let him know what you are most interested in he can recommend good local spots and even show you some of the hidden gems of the Island. Thank you Noah for the awesome tour and showing us the local gems we otherwise probably wouldn't have been able to see!" Please feel free to contact us by phone or email at anytime with requests or questions about our tours. Noah has been living between Kaua’i and Japan for the last 14 years. He is a fluent Japanese speaker and very fond of foreign and cultural studies. He also works as a teacher in the public school system and plays with a variety of bands and musicians on the island. He loves surfing, music, Japan and the Japanese language, traveling and tour guiding. He likes to share his deep aloha and respect for Kaua’i with others. Copyright © 2013-2017 Noah's Ark Kauai llc. All Rights Reserved.